Takrawesome is a sepak takraw news blog, run by two Australian sepak takraw players – Alex and Daniel. We love sepak takraw, and we want to see the sport grow in Australia and globally! If there’s some awesome sepak takraw happening in your part of the world that you’d like us to write about – drop us an email and provide us some information. We’ve also got a few interesting things up our sleeves so be sure to check back regularly. 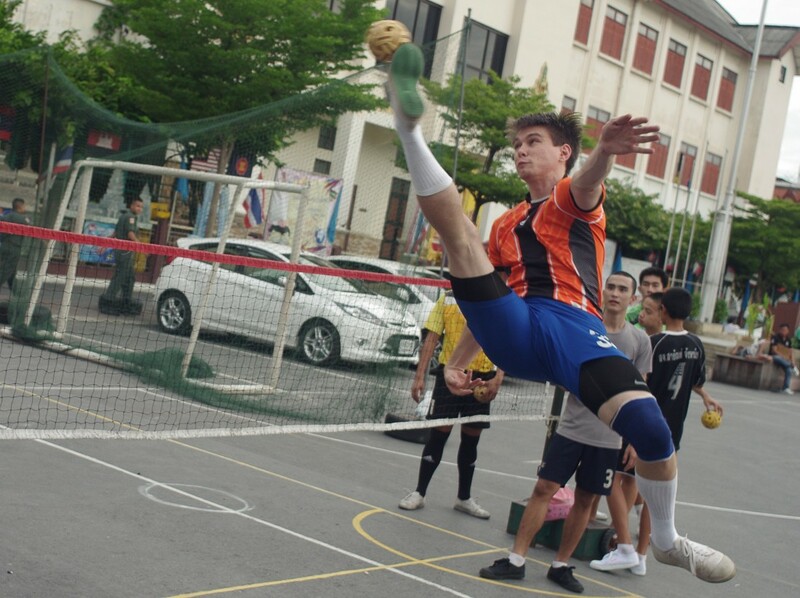 We have been playing takraw socially and competitively since 2009, and have represented Australia in international competition including the ISTAF World Cup and ISTAF King’s Cup. We love takraw so much, we even spent 12 months living in Thailand so that we could train and play with the world’s best! We are also on the committee for the Australian Sepak Takraw Association (ASTA) and so we’re always looking for opportunities to promote sepak takraw in schools and communities across Australia. If you’ve gotten a kick out of our site, learnt something new about takraw, or are just generally supportive of what we’re trying to achieve and you’d like to show it then feel free to donate. We’re cryptocurrency enthusiasts which makes it super easy to send money instantly from anywhere around the world. Currently our favourite cryptocurrency is Dogecoin, because just like takraw… it’s fun! If you’re a bit more serious we also believe in Bitcoin too. To donate, please use the addresses below. If you’d like to donate through a more conventional method, please shoot us an email at contact@takrawesome.com and we’ll let you know how.